Miri – 15 March 2011 – The 2-day MSC Malaysia-Curtin ICT Career Camp held at the campus of Curtin University, Sarawak Malaysia (Curtin Sarawak) from 12 to 13 March 2011 was hailed a great success by both the organisers and the 59 secondary students who took part. The students were from SMK Chung Hua Miri, SMK Lutong, SMK St. Joseph Miri, SMK Pujut Miri, SMK Lopeng Tengah, SMK Merbau, Kolej Tun Dato Haji Bujang, SMK Baru and SM Sains. Themed ‘Ignite the Spark’, the camp was organised by Curtin Sarawak’s Electrical and Computer Engineering (ECE) Department, University Life Department and the Curtin Young Associates (CYA), the university’s club for secondary students. It was supported and sponsored by the Multimedia Development Corporation (MDeC), the agency responsible for the Multimedia Super Corridor (MSC Malaysia), the national ICT initiative which will be creating 85,000 new jobs by 2015. During the camp’s workshops, the participants learned how to use Google’s App Inventor, a mobile application development software downloadable from appinventor.googlelabs.com for creating simple applications for the Android platform. Apart from designing and developing their own Android applications, the participants were taught how to market their applications. In between the workshops, they participated in team-building activities to build their team dynamics as they were grouped into 12 different teams comprising students of different s.
“I was amazed at the ideas presented by the students during the camp. Coincidentally, one of their ideas is being developed by our own Dr Wong Kiing Ing,” remarked Terence Tan, an award-winning ECE lecturer of Curtin Sarawak and a facilitator for the camp. Suresh Reuben, a fellow lecturer and facilitator, concurred. “All the teams came up with good ideas which, when summarised, all pointed to one thing – mobile phones are becoming our ‘sixth sense’. The phone of the future will likely contain things like heat and heartbeat sensors to monitor our health, terrain sensors to aid the blind, and so on,” he said. In the presentation session at the end of the camp, a panel of judges awarded points to each team for their presentations and ideas. The winning team received RM500, while the second and third placed teams received RM300 and RM200. The prizes were presented by Associate Professor Dr Ashutosh Kumar Singh, Head of the Department Electrical and Computer Engineering. Team 6A comprising Fazira Bt. Nan of SMK Lutong, Rhonda Ashley of SMK Pujut, Intan Farisha Bt. Khalid of SMK Merbau, and Siti Rayhan Bt. Hasmadi and Nurhazimah Bt. Saufie of Kolej Tun Dato Haji Bujang emerged the winners. Their idea of incorporating the functions of debit or credit cards and ATM cards into mobile phones where users need only ‘swipe’ their phones over payment machines for purchases, much like ‘Touch ‘n’ Go’ cards widely used in West Malaysia, was adjudged the most innovative. According Fazira, the idea was conceptualised to solve the problem of users forgetting their PIN numbers or not being able to locate ATMs for cash withdrawals prior to making purchases. To counter phone theft or hacking, the team suggested incorporating biometric scanners like thumb-print scanners into the phones to prevent unauthorised use. “The idea came to me while I was having a meal. As I stared at my spoon, I suddenly thought of cards and then related it to banks. I took the idea to the team to see what we could do to address such problems,” Fazira related. When asked whether they will continue to pursue their idea, the team members said that they would continue to work towards making the application a reality. They added that they enjoyed working as a team and greatly appreciated the knowledge they gained from the camp, especially the importance of teamwork, patience and critical thinking. To ensure that the camp was not simply a one-off event, the organisers have set up a Facebook Group (ICT Camp Curtin Miri) for them to maintain contact with the participants and provide whatever support the participants may need in developing their applications. The ICT Career Camp is one of the numerous collaborations between MDeC and higher education institutions to increase the awareness of ICT careers in Sarawak. Curtin Sarawak will collaborate with MDeC on a much larger-scale ICT talk for students next month. In addition to raising awareness of ICT career pathways, the talk will showcase final-year projects by ECE students of Curtin Sarawak. 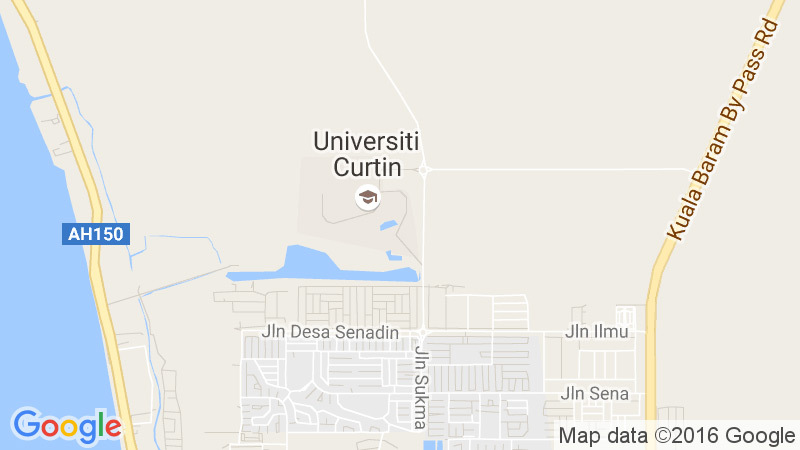 For more information about Curtin Sarawak, visit its website at www.curtin.edu.my or call +60 85 443939. The winning team, Team 6A: (L-R) Nurhazimah Bt. Saufie, Rhonda Ashley, Siti Rayhan Bt. Hasmadi, Fazira Bt. Nan and Intan Farisha Bt. Khalid with Suresh Reuben and Dr Ashutosh Kumar Singh. Participants at the end of the camp. Participants carrying out teambuilding activity. Terence Tan briefing participants on objective of the camp.